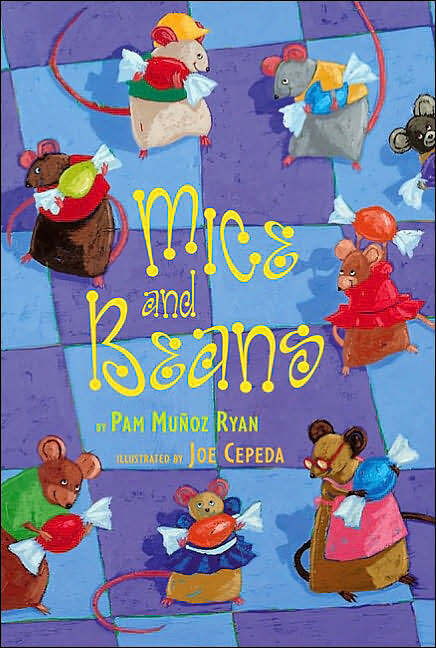 I found a new book at the PK1 Conference, completely unexpectedly, that I adore- Pam Munoz Ryan’s Mice and Beans. This whimsical, charming book captivated my three-year-old son with its engaging plot and detailed illustrations. Beyond being a super cute story, it teaches days of the week and a bit of Spanish, and includes a recipe! Oh, and it’s totally becoming part of my “Cat’s and Mice” Literature Response in the spring. This entry was posted in Uncategorized and tagged days of the week, Mice and Beans, Pam Munoz Ryan, PK1 Conference by Near-O Waste. Bookmark the permalink.